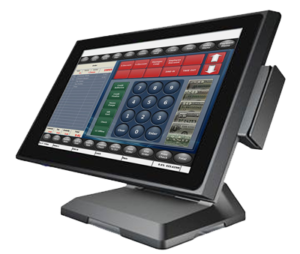 Interstate Cash Register understands a point of sale (POS) system is a big investment. So we’ve devised ways to make it easier for any business, regardless of size, to have a state-of-the-art POS system. Not only do we take care to partner with companies that bring you the greatest POS value, we also have built partnerships that enable you to choose how to pay for your system. 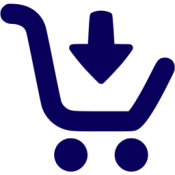 You can purchase your POS system through Interstate Cash Register. Through our years of experience, we have learned where the best value is for businesses like yours, and we can help you select the right POS system that gives you the functionality you need at the best price. 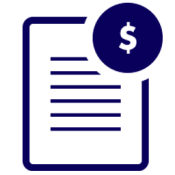 We are happy to help you budget for your POS system purchase and provide the documentation you need for financing and accounting. If you would prefer POS equipment leasing rather than making a capital purchase, we work with a partner that enables us to provide industry-leading, state-of-the-art POS systems through a lease. For some businesses, POS leasing enables them to have the functionality they need at an affordable monthly price. It can also guarantee an automatic IT refresh at the end of the POS equipment leasing term, so they are always using POS hardware and software that’s up to date. Interstate Cash Register is proud to offer a “Solution as a Service” bundle from our partners Touch Dynamic, NCC, and Sterling Payments. For a reasonable monthly subscription fee, customers can secure a system that includes an all-in-one touch POS terminal from Touch Dynamic, Reflection POS® software from NCC, and payment processing from Sterling Payments. Customers can subscribe for up to four lanes with a three- or four-year minimum commitment period. At the end of that time, you can choose to continue to use the bundle on a month-to-month basis or refresh your system. Updates and routine maintenance are included with the Solution as a Service bundle. Interstate Cash Register would love the opportunity to speak with you and explain how a state-of-the-art point of sale system can be within your reach.